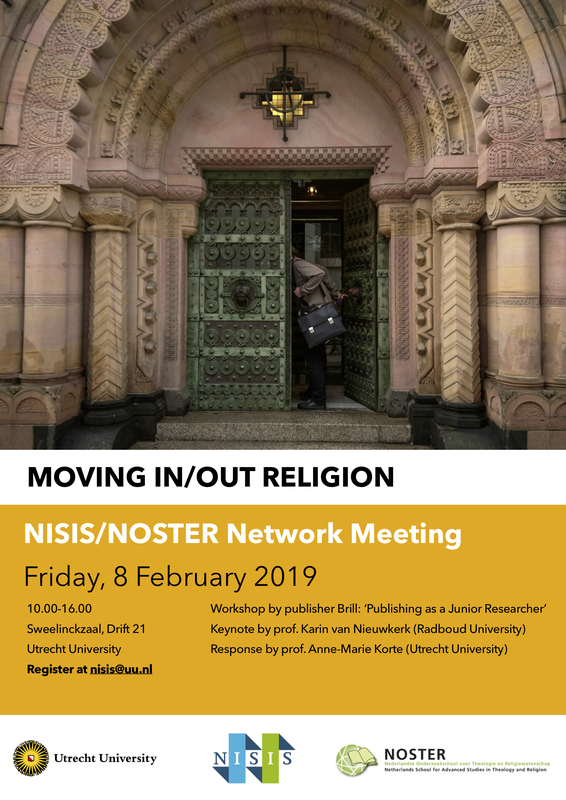 Just like last year, we will organize our midyear meeting together with NOSTER (the Netherlands School for Advanced Studies in Theology and Religion). This year we have chosen for a thematic approach and will focus on the theme: ‘Moving in/out Religion’. During this day we will explore (research into) changing religious identities and discuss various movements in, out and in between religions. What does it mean to become religious (i.e. conversion), leave a religious tradition (i.e. deconversion, apostasy) or change between religious identities. Prof. Karin van Nieuwkerk (Radboud University) will give a keynote lecture, Prof. Anne-Marie Korte (Utrecht University) will provide a response and we will read various texts discussing the theme. In her lecture Karin van Nieuwkerk brings together two fields of study that are hitherto largely unconnected: the study of ‘conversion’ and ‘deconversion’. Based on her biographical research among people ‘moving in and out of Islam’, she will go into the ongoing nature of religious transformation processes. The study of religious transformation faces certain gaps and divides that the concept of ‘moving in and out’ tries to bridge. It can help to develop new dynamic approaches to embracing and leaving Islam, while simultaneously relativizing the importance of religion within the overall life stories of individuals. In the afternoon we will have intensive text reading meetings. During the first hour, we will discuss texts with a more conceptual/theoretical approach towards the theme. In the second hour, we will discuss methodological consequences for the study of moving in/out of religion in two groups. One group will be dedicated to the (empirical/sociological/anthropological) study of practices of moving in/our of religion. The other group focusses on the study of (historical/religious) texts on moving in/out of religion. The readings for the afternoon can be found in the course description below. 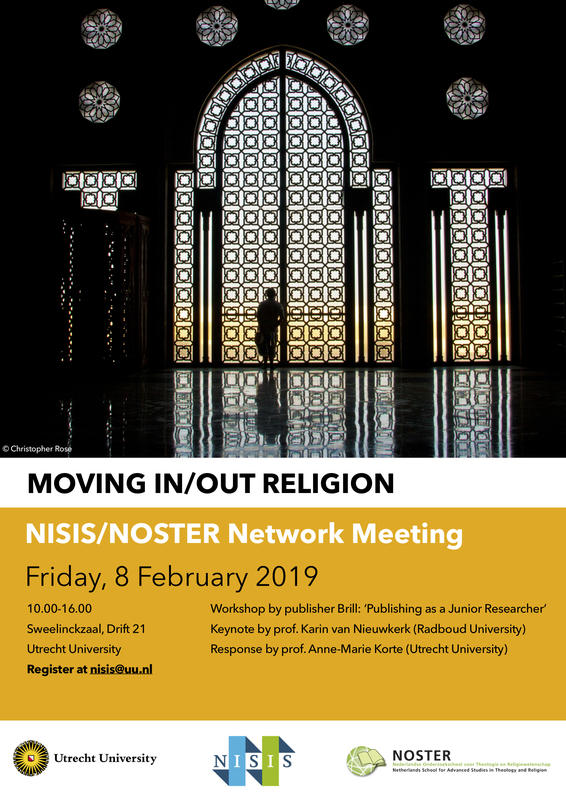 PhD candidates and research master students active in the field of Islamic Studies may apply for admission and should contact NISIS at nisis@uu.nl. The application deadline is 1 February 2019. In order to gain 1 EC, participants must prepare a reaction sheet and show active participation in the Network Meeting. The deadline for the reaction sheet is 7 February 2019, before 9:00.